A power of attorney (POA) is a legal document in which one person (in legal terms, “the principal”) appoints another person (“the agent”) to act on behalf of the principal. It allows you to appoint someone to make financial decisions for you in the event you become incapacitated and can no longer make those decisions yourself. People with Alzheimer’s disease have declining levels of ability to make financial decisions; thus, it may be possible for someone with early-stage Alzheimer’s disease to execute a power of attorney. The power of attorney document defines the authority of the agent. A general power of attorney authorizes the agent to perform virtually any financial act on behalf of the principal. A limited power of attorney authorizes the agent to perform limited acts, such as selling a home, and remains effective for a limited period of time (e.g., 60 days). The POA is presented to a third party as authorization for the agent to act on the principal’s behalf. The third party might be a bank, a stockbroker, a title insurance company or any other person with whom the agent must deal. A durable power of attorney is one that remains in effect even after the principal becomes incapacitated. The word “durable” simply means that the powers granted in the document survive the principal’s future incapacity. Without a durable power of attorney, your family must initiate a guardianship proceeding for you in order to manage your finances if you become incapacitated. A guardianship proceeding can take several months to complete and requires ongoing court supervision. A durable power of attorney is a key part of successful estate planning. 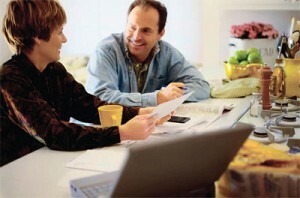 The selection of an agent is particularly important in a power of attorney. It is critical to select an agent who is trustworthy. A trustworthy agent will carry out his or her fiduciary duty to act only on behalf of the principal. The agent must also be diligent and get things done on time. It is also important to name a “successor agent” in your POA in case the primary agent dies, becomes disabled or is otherwise unable to serve. Although the laws of each state differ, you can appoint more than one person to act as your agent under a durable power of attorney. If you appoint two people, then you must decide whether they may act separately or together. There are pros and cons of setting it up one way or the other. If the agents may act separately, then each one has the power to manage your finances without necessity of obtaining the signature of the other agent. If you require the agents to act together, then both signatures are required before the agents may act. Many feel that this provides an added layer of protection once the principal becomes incapacitated. However, keep in mind that this arrangement will also make it more cumbersome for your agents to deal with routine matters since two signatures will be required. The choice of an agent under a power of attorney is an important decision. Many people choose an agent for the wrong reasons. For example, they chose their oldest child or the child who lives closet to them. However, they fail to consider whether this child has the ability, the time, or the respect of other family members to serve adequately. It is important to pick a person who has the respect of other family members and has the time, the ability, and the willingness to serve. While a durable power of attorney is intended to make things easier for your family if you become ill, when broadly written it can convey a tremendous amount of power. This means that the appointment as an agent under a durable power of attorney comes with a tremendous amount of responsibility. A trustworthy agent will carry out his fiduciary duty not to self-deal and to act only on behalf of the principal. Although an agent under a POA has a legal duty to act only on behalf of the principal, the laws in all states give third parties a considerable amount of protection so long as the third party acts in good faith. There is generally no duty to inquire as to whether the POA document remains valid although many third parties follow that practice. Because of these protections for the third party, it is relatively easy for an agent in possession of the POA document to abuse the POA. Thus, it is important for the principal to take precautions to protect himself from abuse of the POA by an agent. For example, you could require the agent(s) to provide regular accountings to other family members or to a third party such as a lawyer or an accountant. In some cases, it might make sense to give a third party the power to replace the agent if the agent is not properly doing his or job. The agent is subject to a set of legal rules known as “fiduciary duties.” That means the agent must act in the principal’s best interests with the highest duties of care, honesty and loyalty to the principal. The agent should keep good records and a written journal of all financial transactions. The agent should keep his and the principal’s assets separate. They should never be commingled. The agent has a duty to see that the principal’s assets are not depleted or wasted. Choosing an agent is one of the most vital aspects of setting up a power of attorney. A durable power of attorney is a valuable estate-planning tool; it is not merely a boilerplate form document. When drafted and used properly, it can make things easier for your family if you become ill. It is imperative that you carefully consider all the relevant issues when going through this process with your professional advisors. Bernard A. Krooks, J.D., CPA, LL.M (in taxation), CELA is immediate past president and founding member of the N.Y. chapter of the National Academy of Elder Law Attorneys and a nationally known and widely quoted expert on elder law. 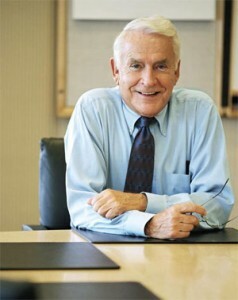 For more information, visit the firm’s website at www.littmankrooks.com. Source: www.ALZinfo.org. Author: Bernard A. Krooks, Esq., Preserving Your Memory: The Magazine of Health and Hope; Summer 2009.